An Inverter AC controls the speed of the compressor motor so as to regulate the temperature continuously. It is more effective and uses less power than a normal AC. The inverter AC technology uses a variable speed compressor to save energy and power up to 50% more than a normal or non-inverter AC. 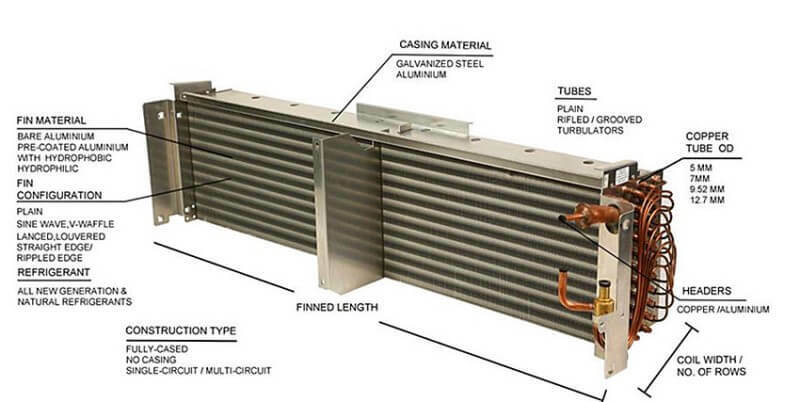 It runs at the full capacity until the fixed temperature achieved and runs at part load to maintain that temperature. Overall an inverter AC maintains the room temperature very well. How Does Inverter AC Work? 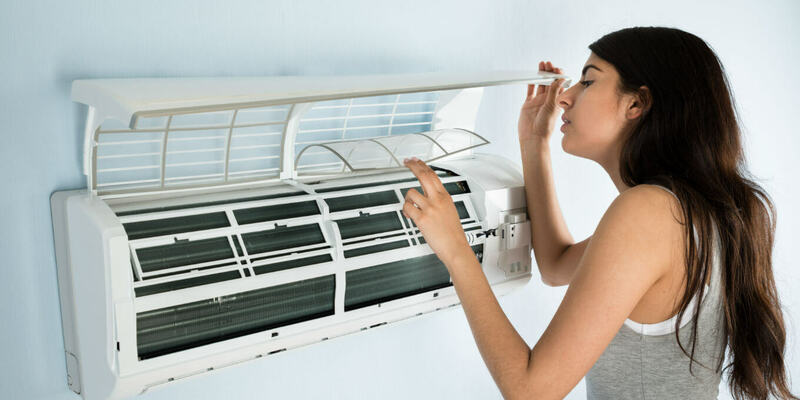 During the cooling process, an air conditioner takes the indoor air and cools it. Then it passes the cool air through the evaporator and throws it back to the room. This process is just opposite to the air coolers we were using earlier. It was taking the outside air and cooling it with water before throwing it in the room. But the air conditioners work on only the internal airs. In a regular AC, the compressor is either off or on. 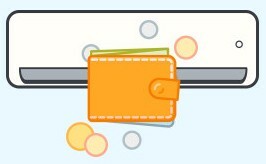 It works at its full capacity and uses full electricity as per it designed. But in an Inverter AC, it works just the opposite. Let’s make it clear without being too technical. In this, the inverter works like as an accelerator in a car. It uses less and more power as per the need or depending upon the temperature of the incoming air. 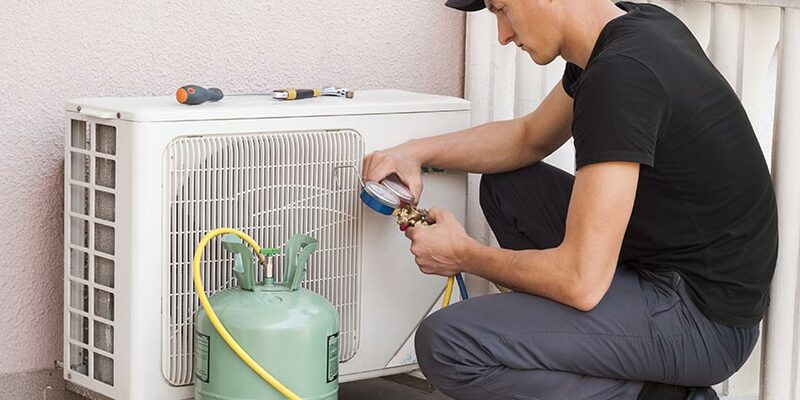 An inverter Air Conditioner never turns off the compressor or the motors. It cools or heats the room constantly by maintaining the speed of the motors by adapting the load of the room. As a result, it reduces electricity also. Due to the inversion mechanism, this can start at low voltage without giving extra pressure to the motors or to the power system. They save lots of energy by running at partial capacity. It is designed in such a way that it can save 30-50% of electricity over a normal air conditioner. The units of an inverter AC works at variable speeds which enables it to adjust its tonnage as per the size of the room. The compressor first converts the input power of the AC to DC power to be able to vary the frequency of the power input. You can not find this ability in normal ACs. The compressor of an Inverter AC never goes shut but in a non-inverter AC, you can hear the on-off sound of the compressor. As a result, the normal AC draws most of the power every time the compressor starts whereas an inverter AC saves lots of energy and money. As per the data on power consumption by BEE, a 3-star rating inverter AC is about 7% more energy efficient than a 3-star rated non-inverter AC. 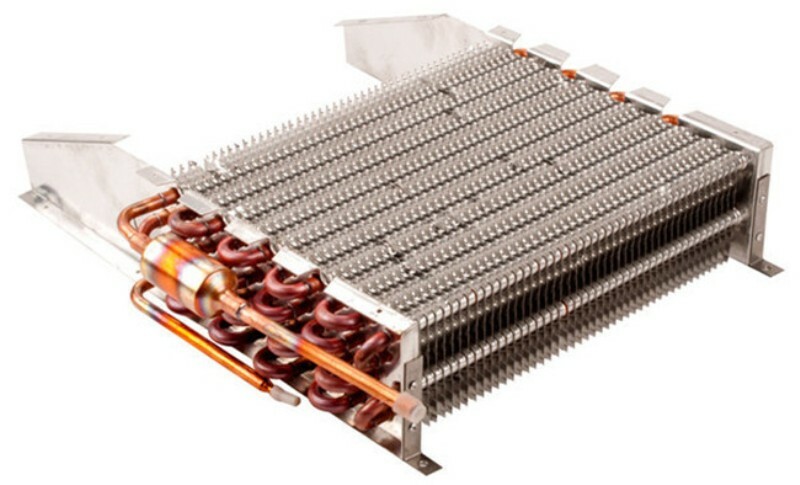 It consumes less power than a non-inverter Ac and at least 30-40% cheaper to run. The startup time of an Inverter AC is reduced by 30% than a non-inverter AC. The speed of the compressors in the conditioning system of an Inverter AC varies by delivering precise cooling in a short time. It can vary as per the seasons, load of the room with people, between day and night, and also varies as per the climate of the location. 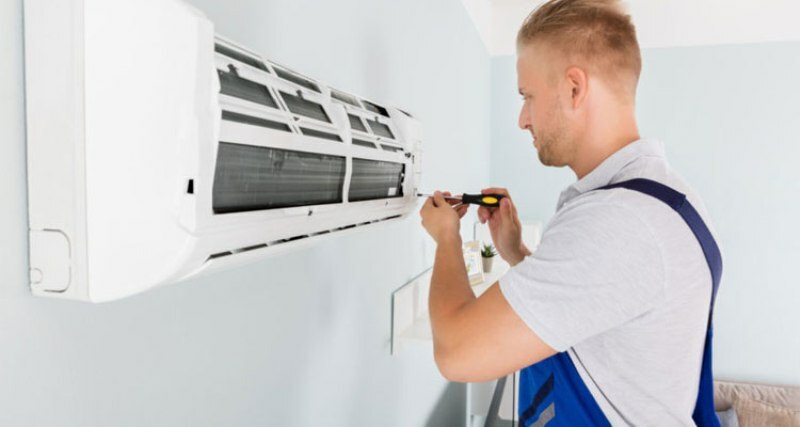 Whereas, a non-inverter AC has a fixed speed of air conditioning by delivering a fixed amount of temperature and power to maintain the required room temperature. It is much quieter than the non-inverter ACs due to the non-stop running of the compressor. Because in an inverter Ac once you set the temperature it will not disturb you by making any sound. 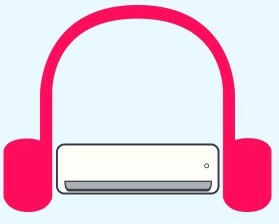 But in normal ACs you can listen to the on-off sound regarding the fluctuation of the room temperature. The are no temperature fluctuations in an inverter AC whereas it is several times in a non-inverter one. There are no voltage peaks from the compressor of an Inverter AC whereas it is several times in a non-inverter AC. The system of the inverter AC works at varying speeds as compared to the non-inverter ACs that perform at the peak levels all the time. An inverter AC is far quicker to achieve the desired temperature than a non-inverter AC. 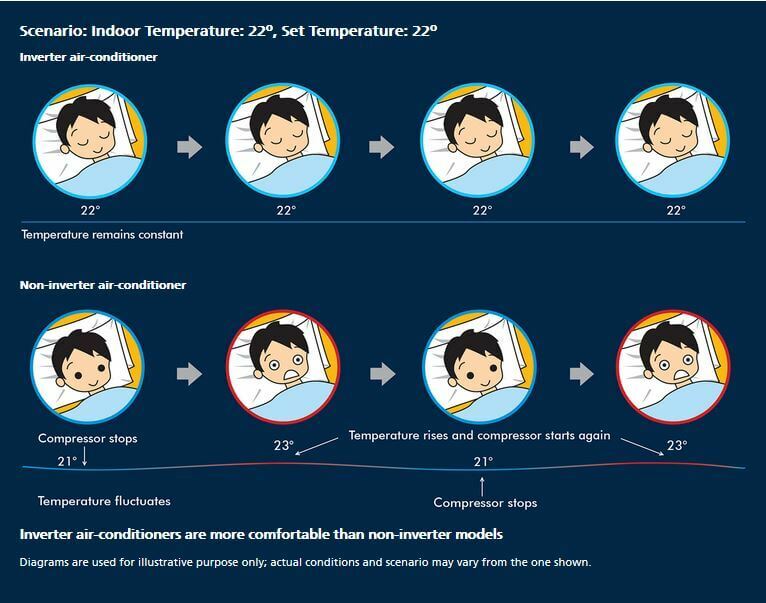 In a non-inverter AC, when the temperature goes below as you have set, the compressor switches off. But in an Inverter AC, when the temperature goes below the fixed set the motor rotation speed is adjusted to maintain the set temperature. 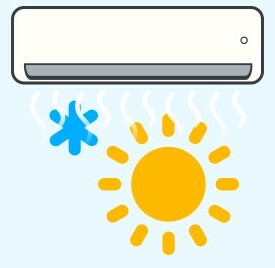 The system of an inverter AC gauges the temperature of the incoming air by adjusting the speed of the motor accordingly. 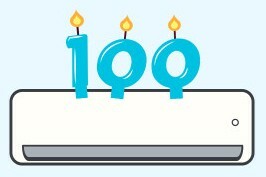 Therefore, this accounts for the fluctuation in the load as well. The durability of the compressor of an inverter AC is longer than the non-inverter AC as it runs smoothly without stopping because of the accurate thermostat setting never fluctuates. An inverter AC is costly than a non-inverter AC but it has more advantages than a normal Ac and it saves your money in the long run by saving power and energy. The main advantage of it is that it uses the inverter technology which has a great performance and saves your utility of electric bills by ending up with low electrical consumption. This is powerful, energy-saving, and comfortable. It is more comfortable to sleep in a room with inverter AC because of the constant room temperature in the room. Once you set the temperature, it will remain constant. An inverter AC does not make any sound while running due to the running at lower speeds without stopping and starting constantly. The units of inverter AC have a lower operational cost due to their efficiency than the units of other ACs. Inverter ACs include a filtration process which gets rid of dust, allergens, and odors from the room. They require no resets after a power cut. The inverter ACs are more expensive than the window, split, and non-inverter ACs because of the new age technology they come with. The maintenance of the inverter AC is very expensive and have an expensive compressor gas. How Does Inverter AC Save Power? In a non-inverter AC, you will find that it cools the room a little below of the thermostat setting and keeps the switch off until the room becomes warm. When it senses the warmth of the room, it starts the compressor again. This on-off process of the compressor consumes higher power. But in an inverter AC, you will find that it works for the faster cooing of the room at its double capacity and then it slows down the motor of the compressor considerably to maintain the cooling of the room throughout. When the temperature of the room increases, it releases more power to control the consumption of electricity throughout. Let’s take a small example for a clear idea about the power saving of an Inverter AC. An inverter AC of 1.5 tonnes initially runs at 150% of its speed for the faster cooling of the room. Then it reduces the speed to around 10% so as to maintain the requisite temperature. As a result, this verifying speed and tonnage of an inverter AC save power as well. Do Inverter ACs Slow In Cooling? The inverter ACs are able to cool or heat the room faster than the other ACs. Actually, at the beginning of the process, the inverter AC needs more power than the other ACs for the faster cooing.Thats why it considered as the best air conditioner for your home. Once it reached the desired temperature, it never drops out and gives a constant cooling to the room. Even it does not need a resetting again after the power cut. So, an inverter AC never slows in cooling because it maintains the set temperature at that particular level. 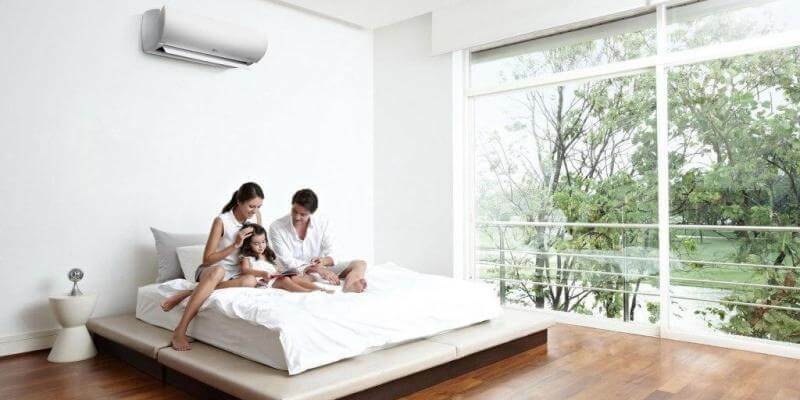 The inverter technology AC changes the flow rate of cooling based on the heat of the room. The flow rate is less when the heat is less and the flow rate is more when the heat is more. It gives the optimum cool to the room as per its advanced technology. It increases the cooling capacity of the room if the ambient temperature is high or the room is loaded with more people. Like this, when the ambient temperature is low or the room has fewer people, the inverter AC reduces the cooling capacity. Normally, the BEE 5-star rated ACs are considered the most energy-efficient systems. But it is seen that according to the Bureau of Energy Efficiency, a BEE 3 star rated inverter AC is more energy efficient than a BEE 5 star rated normal split AC. BEE has started star ratings to inverter ACs and in 2018 Bee merged the star rating levels of both the inverter and non-inverter ACs as well. 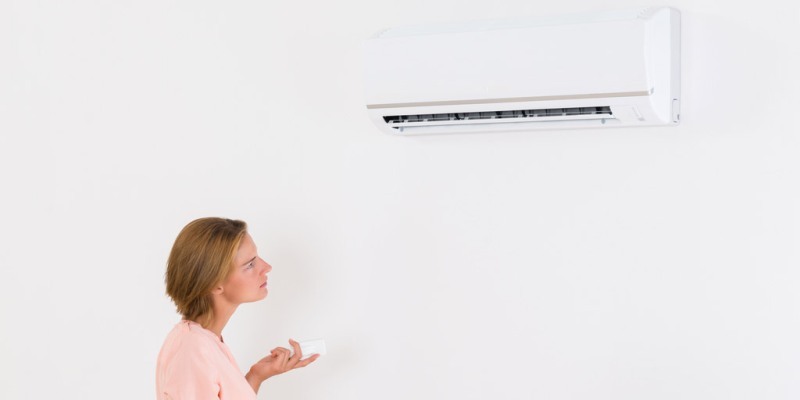 Let’s take a clear idea about the star ratings by calculating the annual electricity consumption between the 1.5-tonne inverter AC and non-inverter ACs. A 5-starred 0.75 tonne of non-inverter AC consumes 576 units of power in 1600 hours. Whereas a BEE 3-star rated inverter AC of the same capacity consumes 550 units of power in 1600 hours. A 5-starred 1 tonne of non-inverter AC consumes 760 units of power in 1600 hours. Whereas a BEE 3-star rated inverter AC of the same capacity consumes 726 units of power in 1600 hours. A 5-starred 1.5 tonne of non-inverter AC consumes 1130 units of power in 1600 hours. Whereas a BEE 3-star rated inverter AC of the same capacity consumes 972 units of power in 1600 hours. A 5-starred 2 tonne of non-inverter AC consumes 1412 units of power in 1600 hours. Whereas a BEE 3-star rated inverter AC of the same capacity consumes 1005 units of power in 1600 hours. A 5-starred 1 tonne of non-inverter AC consumes 760 units of power in 1600 hours. Whereas a BEE 3-star rated inverter AC of the same capacity consumes 550 units of power in 1600 hours. It is cleared from the above calculation that as you go for higher efficiency inverter ACs, you will find that the power consumption reduces respectively. You can go through our other article on the best inverter AC in India to get a clear idea about everything related to inverter ACs. The inverter technology in Air Conditioners is not new. 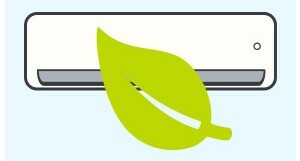 In most of the countries, you can not find conventional ACs due to their power consumption. These ACs not only saves the money and power but their use is good for the environment also. In the Indian market, this technology has been entered in recent years. In the near future, the non-inverter ACs may be phased out like other countries.